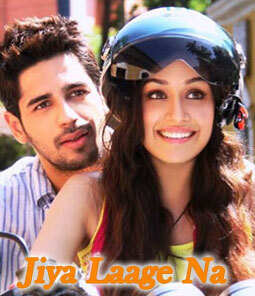 Jiya Laage Na - Ek Villain Lyrics from Mohit Suri's film starring Sidharth Malhotra and Shraddha Kapoor. This track is sung by Arijit Singh and Alka Yagnik while "Sun Raha Hai Na Tu" (Aashiqui 2) fame Ankit Tiwari has composed its music. Jiya laage na is a lovely song from Mohit Suri's film Ek Villain. Arijit Singh and Alka Yagnik has sung this song while Ankit Tiwari has made its tune.